Every spring I run into the same dilemma for Easter clothes for my guys. For girls there are loads of cute little outfits, but for boys it's pretty much sweater vests & button-up shirts in pastel colors. While some of these are cute the reality is it's a waste of money for me. Other than Easter when would they wear something that dressy? They don't go to polo matches, play golf or have a house in the Hamptons. 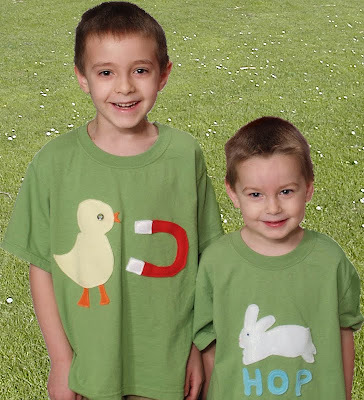 So I thought up these t-shirts that are ideal for Easter, a little cheeky, can be worn to play outside and cost less than $5. I got these blanks t-shirts at Michaels (2 for $5) and used scrap fleece to make my appliques. 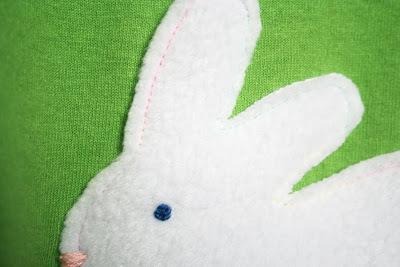 Fleece is great because it doesn't fray, is easy to work with & adds texture. 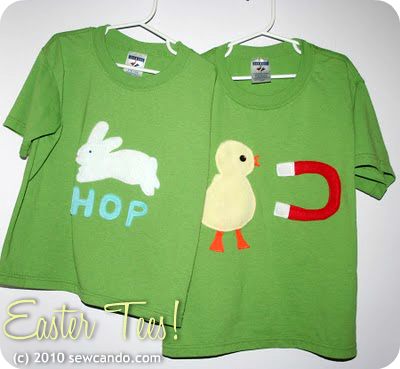 For "Bunny Hop" I freehand drew a bunny shape based on some Easter pjs I saw in a catalog (they were $48! Really now, who is buying those??). I cut out the word hop and stitched all those on using varigated pastel thread. I added a nose & eye with embroidery floss. I wanted a cute design for my 7yr old that didn't seem too babyish, so I drew up this little chickie & magnet, stitched them on and added a button for the eye. Cheeky for the chickies indeed! Chicky says what? $5 for 2 Easter Outfits? What a deal! Now, don't worry baby fans, I'm not leaving my little girl out. I've made her a dress too, so that & my review of the pattern used will be up soon. Adorable. Came over from Tot Tuesdays! I agree who said that Easter outfits had to be uber fancy?!? I'm from New Friend Friday, I'm so late this week but so glad I caught up and found you. Now following your so very cute blog. Your shirts came out so adorable. I had been trying to figure out if I could make my 4 year old a nice boyish shirt. These are great! I'm over from Tot Tuesdays. 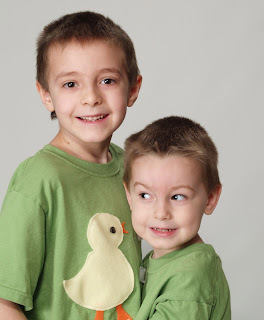 Wow, those shirts are too cute on them! I hope you took a million pictures!! That is too cute! Love the chick magnet one!!! So cute! Hello! I'm your new follower though Penny Pinching Party! Great site! Visit me at www.rockindeals4you.com/?p=848 and sign up for my giveaway! Too cute. 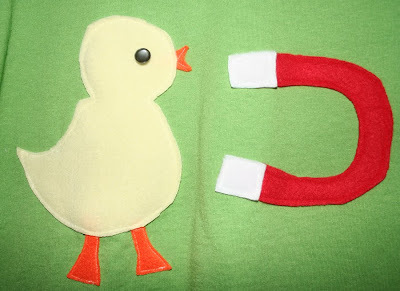 The chick magnet one is very clever & your kiddos are darling. Thanks for linking up on Tot Tuesdays last week. I hope you’ll join me this week for another party. Happy Easter! These are so cute!! The chick magnet is so clever!! Thanks for linking up to Someday Crafts for Whatever Goes Wednesday! Love your chick magnets...AND your blog! I was blog hoppin and found you...and my peep of a Grandgirl is soooooo going to need one of these! Thanks for the share! I am featuring this idea tomorrow! Thanks for the idea!! !